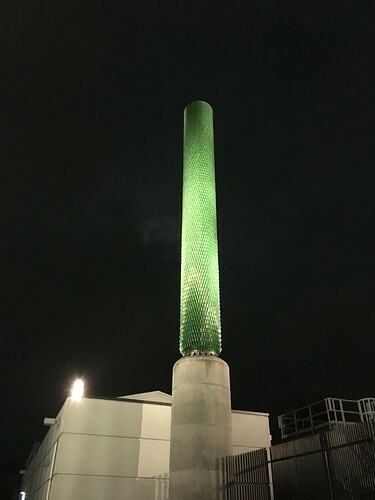 On a recent business trip, I encountered a strange tower that looks like it is made of green glass beer bottles. It is at approximately 19332 North Creek Pkwy. I have no idea what it is, but it looks cool at night. It’s like a bar saved every Heineken bottle it ever served and made a chimney out of them. During the day, it isn’t that special, so look for it at night.